What? Read a book about a dog? Me? Are you twistin' my whiskers? It's a special dog? 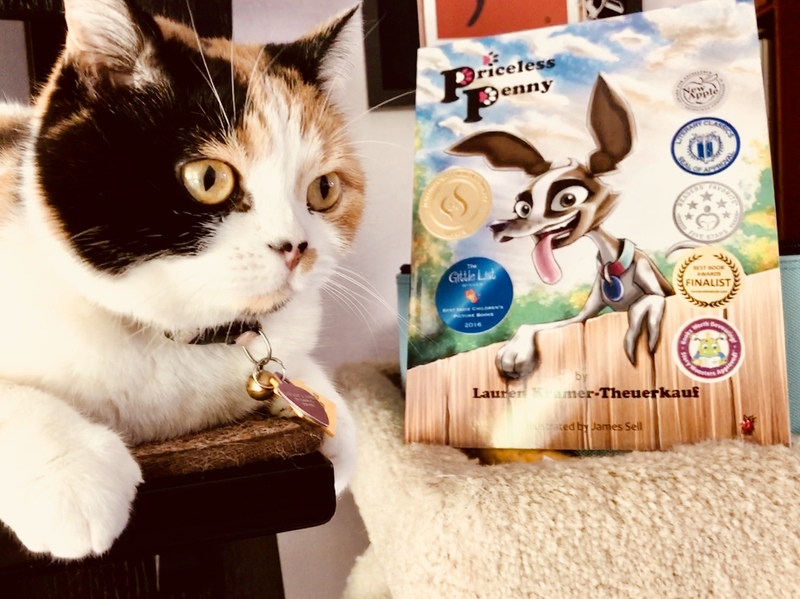 Must be a very special dog cause Meowmuh is 'over-the-moon' in love with this book 'Priceless Penny.' Meowmuh met the author, Lauren, at the Cat Writers' Conference in Houston. Lauren is Priceless Penny's mom. Abandoned by her owners, Penny was left to wander the streets until she was picked up as a stray and placed at a high-kill shelter. The book chronicles the adoption journey of Penny, a three-legged dog.